Trying my hand at making some of my own gear. I have a few ideas in my head and a few on paper. Why.?.?.? – Well most of the 9×5 tarps I found were either heavier than I wanted by a few hundred grams, didn’t pack as small as I’d like and the decent quality ones were circa £90-100. 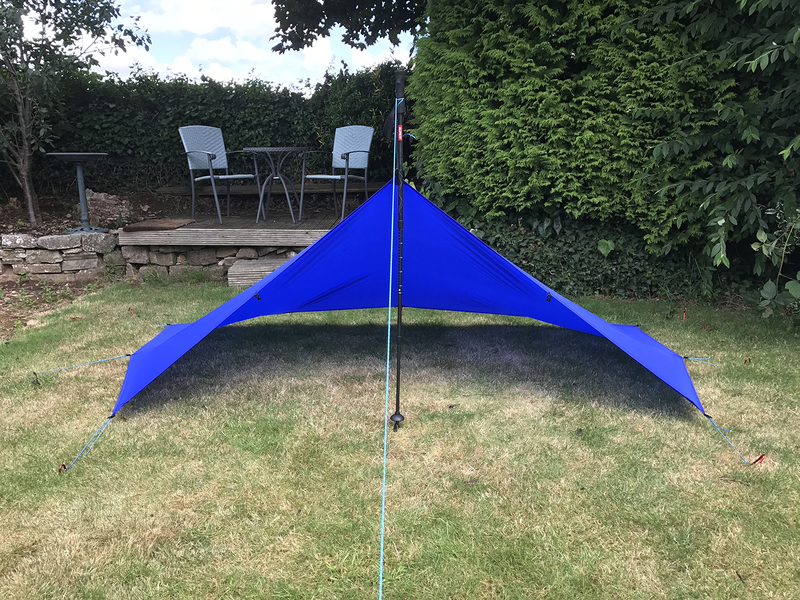 The total cost of this tarp was under £40 weighs in at 290g all in (stuff sack and guys), packs nice and small and has plenty of guy out points giving me plenty of pitching options. Great video thanks. I wonder if you can remember (given is was a while ago now) where you sourced the materials from? The fabric for this was from https://www.profabrics.co.uk I would also look at https://www.extremtextil.de as they carry a good range of Silnylon in various weights. Me again. Finally got myself a sewing machine, now for the difficult part…materials and build (I will practice first of course). Do you have and more info the nylon you used/sourced? For example looking at ProFabrics I cannot see a water resistant nylon at that weight. Hi Matt, I’m not sure tbh. The Silnylon I had from them is thicker and heavier than what I have used since, I think around 40d. I tend to buy from Extrem or Ripstop now as they have much lighter fabrics. It may be worth giving Pro Fabrics a call or email, they should have the HH details. No probs. I went with Extrem anyway. Seems such a shame material suppliers in the UK are so limited. Hi Matt, Extrem is pretty dam good IMO. I’ve never had an issue with them and they get some great fabrics in. Keep an eye on their remnant section too.